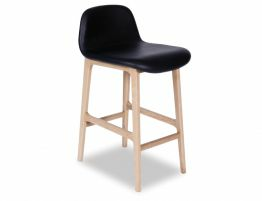 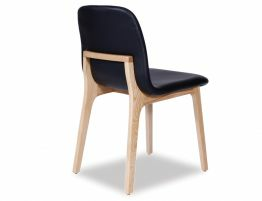 The Maxwell Scandinavian Timber Bar Stool Chair with natural American Ash frame and a luxurious black padded seat is one of the most pleasurable bar stools going around. 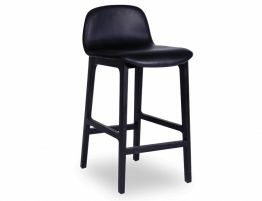 Popular by demand, The Maxwell Stool with black padded seat is easy to clean and extra cushy for comfort. 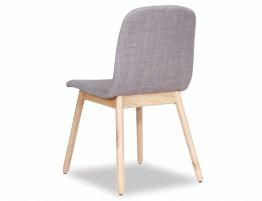 Be it a quick bite or a long winded luncheon, the comfort of this stool is non debatable. 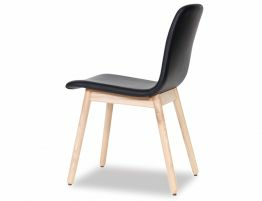 The solid ash timber frame, legs and footrest allows for a sturdy structure to facilitate the family and guest and also brings in a natural earthy feel with the blonde tones of timber. 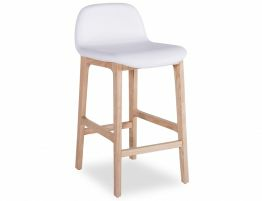 When completing your house, its the creature comforts that get you through and the Maxwell Stool is sure to be one of them.